Yokogawa DM7560 Digital Multimeter 6.5 Digit | PSI Solutions, Inc.
A large 4.3-inch high-resolution display provides comprehensive data observation using a flexible combination of primary and secondary display areas. 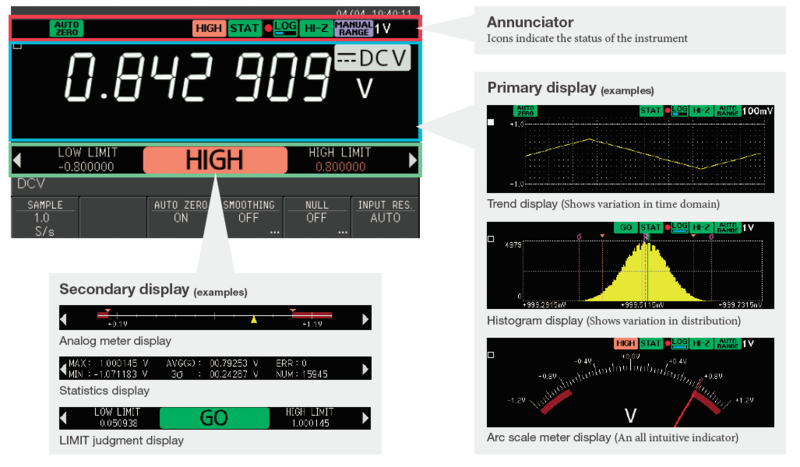 The DMM7560 can show different types of visualizations on the display. 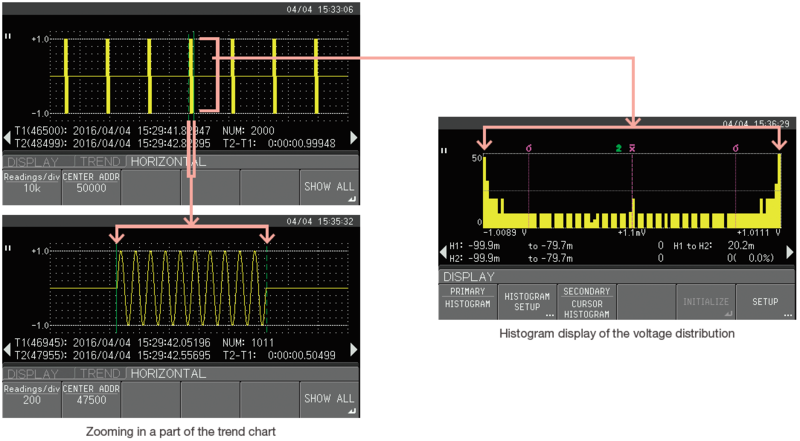 In this case, the top displays a time-domain trend plot and the lower region displays statistics of this data. 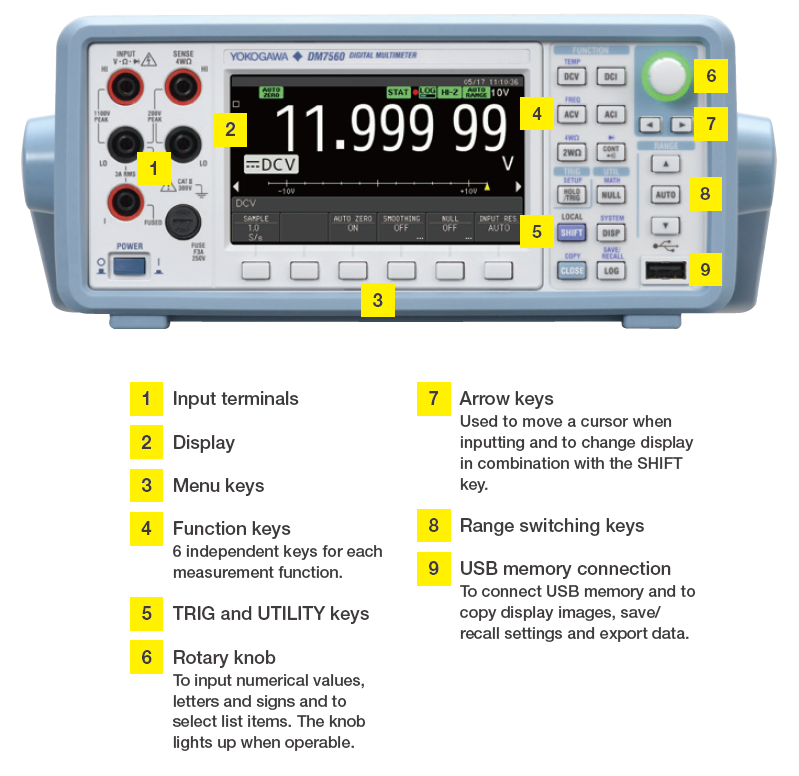 Users can display the input signal voltage and frequency side-by-side with numeric values and indicators. In bulk mode, data can be logged to the internal memory with high sample rates of up to 30 k S/s. Data logged to the memory can be copied to a USB memory device and analyzed on the PC. * When DCV, DCI, 2 WΩ, 4 WΩ functions. 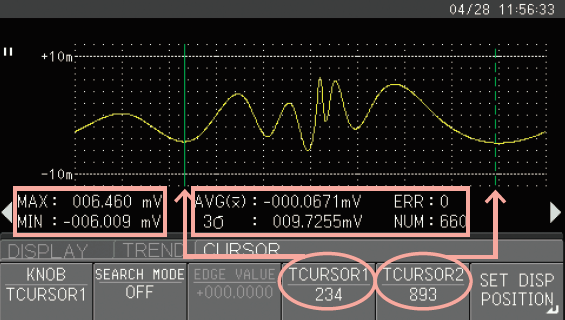 Setting the DM7560 to 30 kS/sec enables users to see the details of a 10 ms pulse width, on a 2 Vpp measurement. An internal memory of 100 k points enables long-term, high-resolution data logging even for high sample rates. Continuous measurement of over 27 hours is possible with a sample rate of 1 S/s. 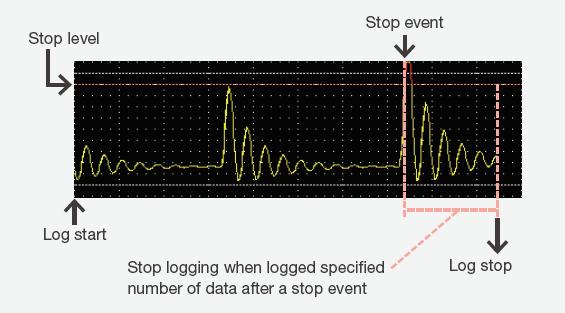 Trigger events such as the measured LEVEL, LIMIT or EXTERNAL TRIGGER can stop logging. Users can specify the amount of data to store after an event occurs. 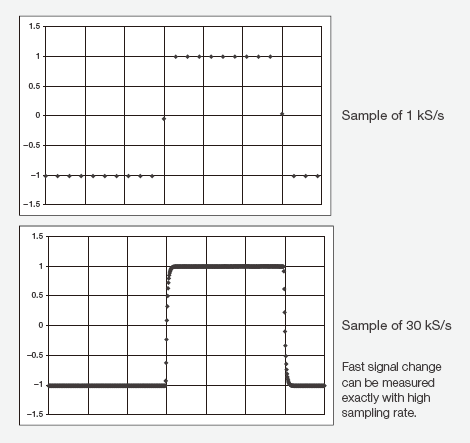 SIGNAL LEVEL events can stop data logging. 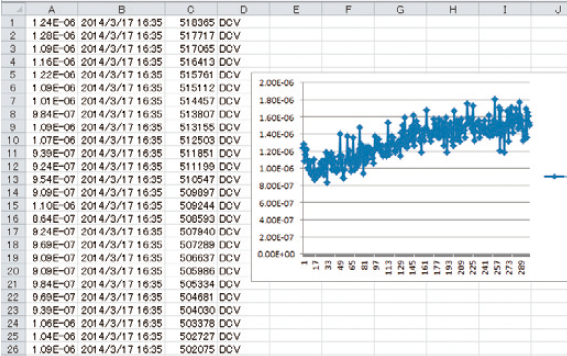 Users can transfer readings to a PC file for more detailed analysis. By setting upper and lower limit values as the cursor position on the histogram display, user can display the number of data, ratio to whole data (%) and yield rate. 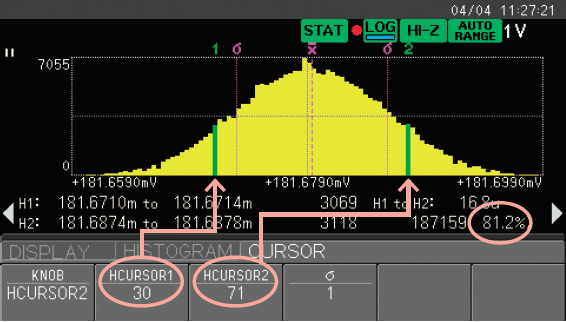 Yield rate and other calculations are available using cursor controls on the histogram display. In the trend chart, statistic data in a selected time range can be calculated. Statistical data such as the MAX/MIN/AVG of a cursor-specified range is calculated automatically. Users can easily zoom to see a magnified part of the trend chart or display the zoomed region as a histogram. Both the histogram and trend chart can display LIMIT judgment results. The number of captured NO-GO results is displayed in the histogram display, and the timing when NO-GO results were captured is clearly displayed in the trend chart. Easily seen from a distance. The DM7560 can store/recall up to 10 setups through the optional RS-232 interface to enable flexible control of the instrument from a PLC. 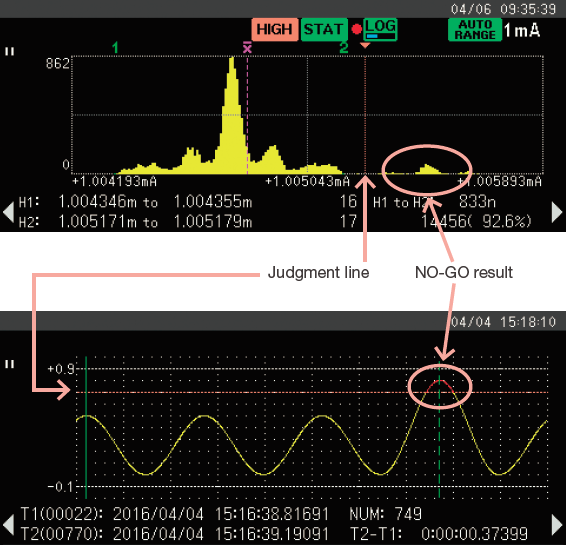 A LIMIT judgment result can be output as a signal from the DIO terminals (option) for simplified implementation of automated test systems. 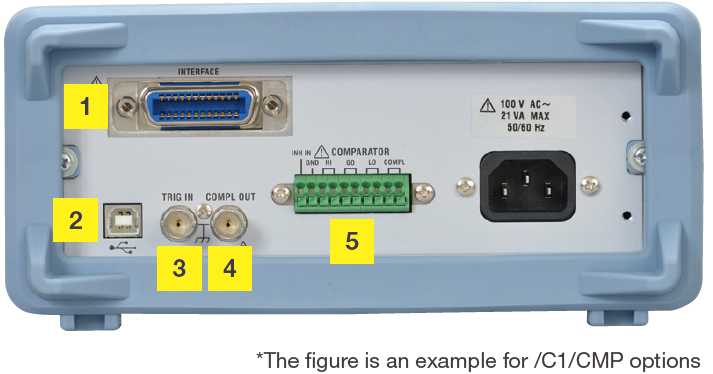 In addition to the standard USB interface, Ethernet, RS-232 and GP-IB are also available. Users can program the unit using industry-standard SCPI commands. Features: Category IV 600V, Category III 1000V, USB Communication function, Closed Case Calibration (User calibration function). Features: Category IV 600V, Category III 1000V, Large Internal Memory (1,000 data), USB Communication function, Closed Case Calibration (User calibration function). Features: Category IV 600V, Category III 1000V, Large Internal Memory (10,000 data), USB Communication function, Closed Case Calibration (User calibration function). Our new pocket sized digital multimeter. Accuracy 0.7% at DC voltage and 4300 count large digital display with variety of measuring functions. The Yokogawa CA450 Process Multimeter is a portable test instrument to combine a digital RMS multimeter and a loop calibrator to give process technicians the same functionality in one tool. The Yokogawa CA450 provides 24-Volt loop power, reducing the need for carrying a separate power supply when performing transmitter testing. And with its built-in, selectable 250-Ohm Hart resistor, it also eliminates the need for a separate resistor. Process technicians can now do the same job while carrying less equipment. Yokogawa-original A/D converter (feedback pulse width modulation method) features superior noise immunity, stability and high-speed sampling. In addition, versatile functions are suitable for system use and cover a wide variety of applications from test to R&D. The MT220 can measure pressure with outstanding accuracy, high resolution, minimal tempco, and excellent stability. It offers a wealth of functions for field calibration, including transmitter output measurement (DCV/DCA functions), 24-V DC output, percent error readout, measurement data memory, and Ni-Cd battery operation. The D/A conversion output makes it simple to output data to a recorder or other equipment. And of course, data output through a GP-IB or RS-232 interface is also possible-including data output during operation on a 12 V DC power supply or Ni-Cd batteries.